that by the time I finished the post, this t-shirt was already in my shopping cart!! 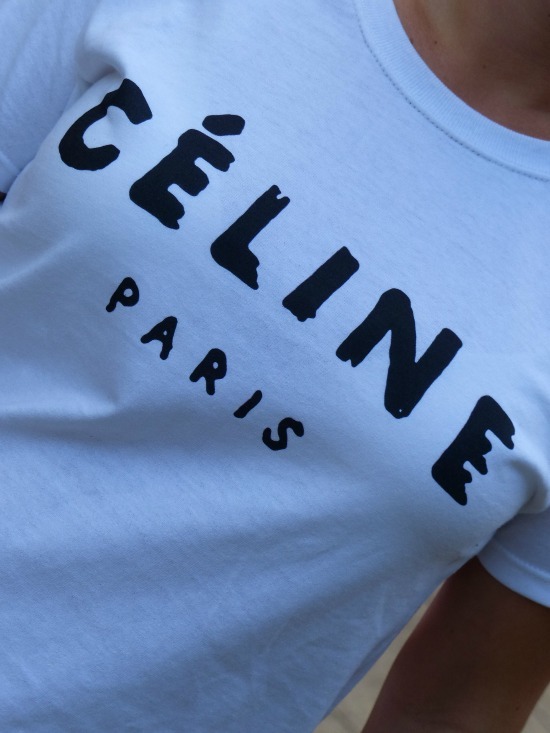 The first time I saw this Celine t-shirt was a really long time ago. Rihana was wearing it and she looked fabulous. The shirt was so white, crisp and CELINE!! 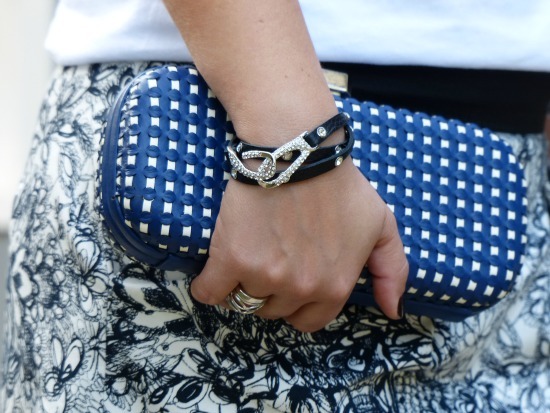 I completely fell in love with it, super basic and super fashionable!! Thanks for reading and don't forget to enter our current INPINK Giveaway. Ahh uma camiseta é tudo de bom! eu adoro tb! joga uma coisa por cima e já fica chiquezinho ne´...como no seu look! great shirt...and clutch! very very nice! So cute! I love your jacket and those shoes!! www.nellecreations.com :: Win a Lace Denim Shirt! Cute skirt ! And I love that tee. What a great pair of shoes! Like your celine tee!!! so cute!! !